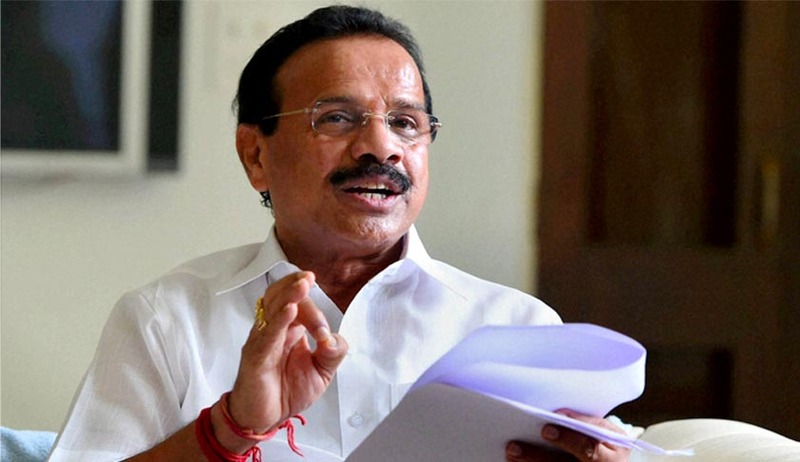 The Minister for Law and Justice Shri D. V. Sadananda Gowda has said that Working of National Legal Services Authority (NALSA) will be made more effective and it will be streamlined keeping in view the hardships and difficulties faced during the Justice delivery to those litigants who are unable to defend themselves for want of resources. He was responding to concerns of the Members of the Consultative Committee of the Parliament attached to his Ministry on the Working of National Legal Services Authority (NALSA), which was the Agenda Item for the meeting held late last evening. Detailing some of the recent activities undertaken in the Ministry of Law & Justice the Minister said two Bills namely “Arbitration and Conciliation (Amendment) Bill, 2015” and “Commercial Courts, Commercial Division, Commercial Appellate Division in High Courts Bill, 2015” have been introduced in the current session of Lok Sabha as replacement of Ordinances both dated 23.10.2015 issued in this regard. The amendments in Arbitration and Conciliation Act, 1996 have been proposed to improve India’s ranking in Ease of Doing Business in respect of enforcing contracts and to facilitate India to become hub of International Commercial Arbitration. As per the Commercial Courts Bill, all suits, appeals or applications related to commercial disputes of specified value i.e. Rs. 1 crore or above, are to dealt with by the Commercial Court or Commercial division of the High Courts. Also, in this session of the Parliament, the High Court and Supreme Court (Salaries and Conditions of Service) Amendment Bill 2015 has been passed by the Lok Sabha. This Bill provides for a minimum of ten years of practice as an Advocate as qualifying service for the judges elevated from the Bar for pensionary benefits and to remove some redundant provisions. The Delhi High Court Amendment Act, 2015, to enhance the pecuniary jurisdiction of the Delhi District Courts from Rs 20 Lacs to Rs 2 Crores received Presidential assent on 10.8. 2015 and has been brought into force with effect from 26.10.2015. There is a proposal to bring the High Courts (Alteration of Names) Bill to facilitate the alteration of names of High Court through Presidential Order in consultation with the Governor of the concerned state and the Chief Justice of the concerned High Court. For the purpose of digital monitoring of the courts cases where the Central Government is a party, Department of Legal Affairs is in the process of implementing Legal Information and Management and Briefing System (LIMBS). LIMBS is web based platform providing for common access to various users and is expected to synchronize efforts of various stakeholders to digitalize the court cases of all departments of Govt. of India. By using this database and through automated service and artificial intelligence, higher administration will be introduced for bringing efficiency, effectiveness and accountability in defending/contesting cases on behalf of Government of India. Very recently, the Ministry has also introduced a system of online receipt of applications for appointment of Notaries, including the submission of supporting documents. This is expected to reduce delays on account of postal delays, missing documents and queries due to incomplete applications. This will also facilitate the applicants to know the status of their applications online. Though the primary responsibility of infrastructure development for the subordinate judiciary rests with the state governments, as of Sept 30, 2015, the Central Government has released an amount of Rs. 3528 crores to the State Governments and UT administrations since 2011-2012. The scheme shall continue in the current year as well with the modified pattern in accordance with the recommendations made by the Committee of Chief Ministers. Shri Sadananda Gowda said his Ministry has also taken up phase II of E- Courts project which will provide for ICT enhancement through universal computerisation of all the courts, use of cloud computing and enhanced availability of e-services to lawyers and litigants through e filing, e-payment and mobile application etc. and now in the Consultative Committee, the working of National Legal Services Authority has been taken up for discussion. A nationwide network has been envisaged under the Legal Services Authority Act, 1987 for providing legal aid and assistance. National Legal Services Authority (NALSA) is the apex body constituted to lay down policies and principles for making legal services available under the provisions of the Act and to frame most effective and economical schemes for legal services. In every State a State Legal Services Authority is constituted to give effect to the policies and directions of NALSA and to give legal services to the people and conduct Lok Adalats in the State. The Chief Justice of India acts as the patron in chief and the second senior most judge acts as the Executive Chairperson of NALSA. The State Legal Services Authority is headed by the Chief Justice of the State High Court who is its Patron-in-Chief. A serving or retired Judge of the High Court is nominated as its Executive Chairman. Further, the Act mandates district and taluk level legal services authorities. Though, in most other countries administration of legal aid is an executive function, in India, the execution and implementation of legal aid is performed by the Judiciary. NALSA plays a critical role to secure the constitutional guarantee. Many initiatives such as establishing permanent and continuous Lok Adalats in all the districts in the country for disposal of pending matters as well as disputes at pre-litigation stage are conducted, legal literacy and legal awareness campaign are organised. In addition, appointment of "Legal Aid Counsel" in all the Courts of Magistrates in the country is done, publicity to legal aid schemes and programmes to make people aware about legal aid facilities in jails, setting up of counselling and conciliation centres in all the districts in the country and sensitisation of judicial officers in regard to legal services schemes and programmes are also taken up by NALSA. NALSA is given grants-in- aid to provide legal aid to the poor. The expenditure incurred in 2012-13 was 39.03 crores; in 2013-14 it was 83.02 crores; in 2014-15 it has been 58.66 crores and in 2015-16 it is expected to be 73.3 crores. Recently NALSA has launched seven new schemes aimed at providing legal services to vulnerable persons namely victims of trafficking, workers in the unorganised sector, children, mentally ill, tribals and victims of drug abuse. Later taking part in the discussions, Shri K.T.S.Tulsi, Shri Majeed Memon, Shri A.Navaneethakrishnan and Shri Jose George expressed their concern on the delay in the justice delivery due to the lack of affording the desired money for grant of bail etc., low remunerations to panel lawyers and availability of lawyers after the framing of charges. They said efficient and well briefed lawyers be made available to the persons from the moment of their detention. The litigant should have a choice of lawyer. Local elected representatives should be involved for this purpose. Shri Tulsi said there should be a multi disciplinary body which should run the legal aid programme. It was also suggested that to retain the faith in justice delivery and to curb the corruption we need to concentrate on speeding up the better conviction rate. Shri Majeed Memon said due to delay in justice delivery people are losing faith in the justice system. He said trial extends for more than 10 years and there is no way to compensate a person of his valuable time lost while he was an under trail and later a judgement declares him not guilty. Shri A. Navaneethakrishnan urged the minister for justice to the victims of industrial disasters and mass violence and terrorists acts. Shri Jose George raised concern on crime against women and helpless children and urged for speedy redressal. It was also suggested that proper and regular update on the status of cases be made available to both NALSA and SALSA. The Minister assured the members for giving due consideration on their suggestions while pushing the reforms in this regard. A Presentation was also made during the meeting on the working and achievements of NALSA. During the meeting Minutes and ATR (Action Taken Report) of the last meeting of the Consultative Committee meeting held on 20th May, 2015 were also ratified which comprised the agenda items regarding the D/o Legal Affairs. The Lok Sabha today passed the Commercial Courts, Commercial Division, Commercial Appellate Division in High Courts Bill, 2015 by voice vote. As per the Commercial Courts Bill, all suits, appeals or applications related to commercial disputes of specified value i.e. Rs. 1 crore or above, are to be dealt by the Commercial Court or Commercial division of the High Courts. It may be noted that the President had earlier promogulated an ordinance related for the constitution of Commercial Courts, Commercial Division and Commercial Appellate Division in the High Courts for adjudicating commercial disputes of specified value and for matters connected there with or incidental thereto. The union cabinet approved promulgation of this ordinance on 21.10.2015 and had recommended the same to the President. The bill now seeks to replace the ordinance. i. In Clause 10 to the Bill, the words, “Commercial Appellate Division” will be substituted by the words, “Commercial Division”. ii. First Proviso to Clause 7 of the Bill will also be amended to clarify that the said proviso will also be applicable to the pending cases. It would reduce burden on the Division Bench. Amendment in Proviso to Clause 7 of the Bill will bring more clarity about the said clause. The Amendments are likely to be introduced in the current session of Parliament. After amendment in Clause 10, all applications and appeals in Arbitration matters, which are filed in the High Court may be heard and disposed of by the Commercial Division in the High Court consisting of a single Judge Bench. A Bill for replacement of Ordinance has been introduced in the Lok Sabha on 07.12.2015. As provided in Clause 10(1) and (2) of the Bill, all applications and appeals in Arbitration matters, which are filed in the High Court are to be the heard and disposed of by the Commercial Appellate Division which consist of Two Judge Bench. Concerns have been expressed that it may overburden the High Courts. The Cabinet in its meeting held on held on 21st October, 2015, had approved the proposal for promulgation of the Commercial Courts, Commercial Division and Commercial Appellate Division of High Courts Ordinance, 2015 and to introduce a Bill in the Parliament to replace the Ordinance. Accordingly, the President promulgated the Ordinance on 23.10.2015.